Positron emission tomography, or a PET scan, is a type of nuclear medicine imaging that views the body and organs on a cellular level, according to RadiologyInfo.org. A PET scan measures body functions like blood flow, oxygen use and the metabolism of glucose, or sugar. Depending on the type of PET scan you have, following a low-carbohydrate diet 12 hours before the scan may be necessary to increase the quality of PET scan images. Foods you can eat are limited for this type of PET scan. Begin your low-carbohydrate diet 12 hours before your scheduled PET scan unless otherwise instructed by your physician, suggests Cedars-Sinai Medical Center. All meats are allowed prior to a PET scan, including beef, chicken, pork and fish. Choose fresh, unbreaded meats to avoid carbohydrates. 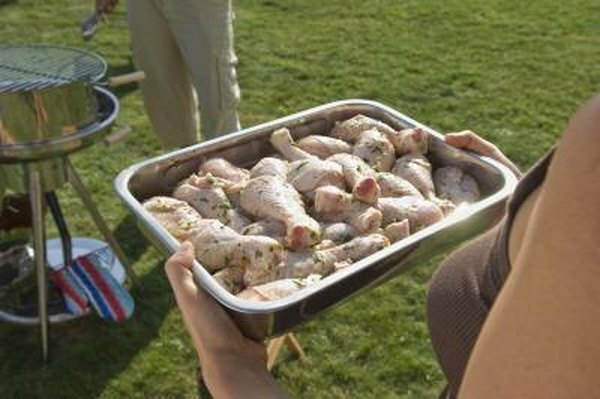 Bake, broil or grill meats and fish and do not add batter or breading. Tofu may also be eaten prior to a PET scan. Fresh cheeses are high in protein and low in carbohydrates. You may choose hard cheeses, such as block cheese in cheddar, Swiss, Colby or a preferred variety. Cottage cheese is also acceptable. Margarine or butter may be used to flavor vegetables; however, refrain from spreads like cream cheese or cheese spread. Hard-boiled or prepared, plain eggs may also be eaten prior to a PET scan. Refrain from dairy products that contain sugar, like ice cream or yogurt. Non-starch vegetables are low in carbohydrates. Choose vegetables like broccoli, spinach or green beans, suggests Cedars-Sinai Medical Center. Lettuce greens, asparagus and mushrooms are also allowed. Avoid potatoes of all varieties, as well as corn, carrots, beets and peas, as these contain starch, notes the Radiology Corporation of America.